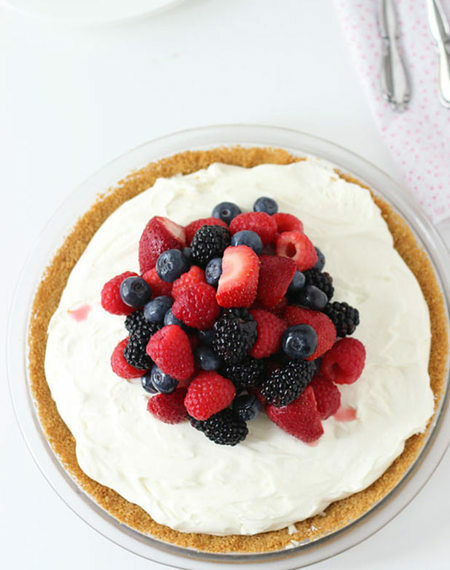 We know you're a busy woman, and you don't have time to slave away in the kitchen baking gourmet desserts. 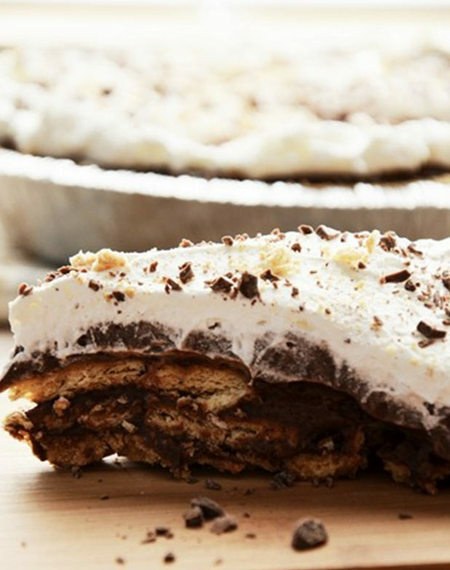 That's why we've rounded up 30 delicious and totally easy no-bake pie recipes. You can assemble these all in under 30 minutes, then place them in the fridge or freezer to set. 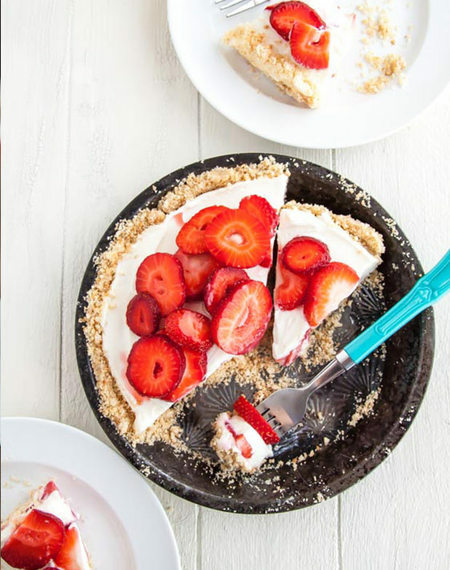 Strawberry Mascarpone Yogurt Pie. Get the recipe. 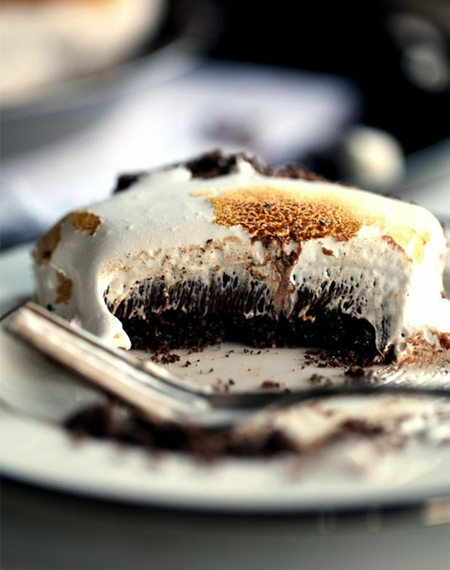 Double Chocolate S'mores Pie. Get the recipe. 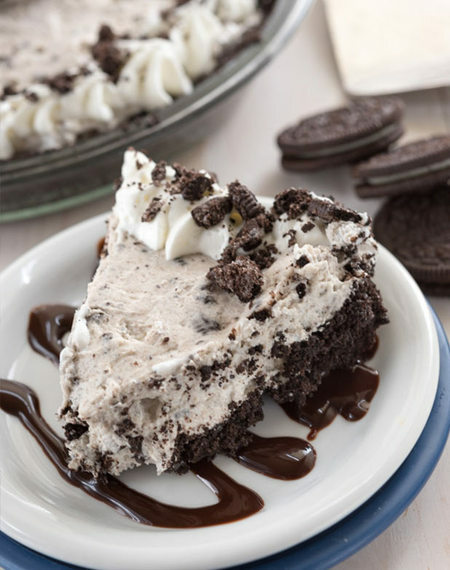 No-Bake Oreo Cheesecake. Get the recipe. 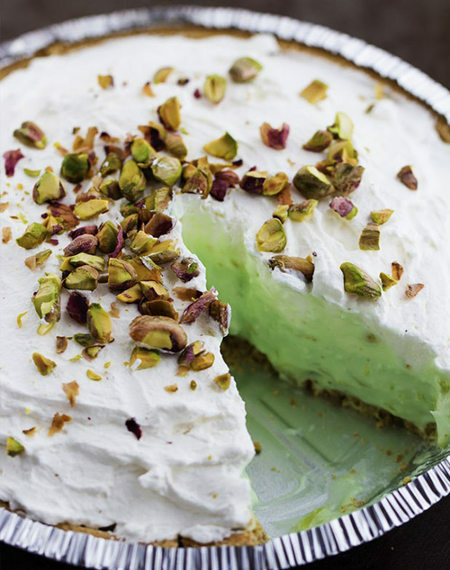 Pistachio Cream Pie. Get the recipe. 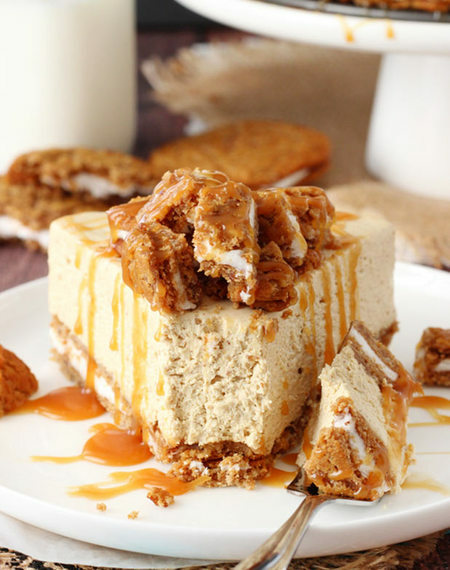 Oatmeal Cream Pie. Get the recipe. 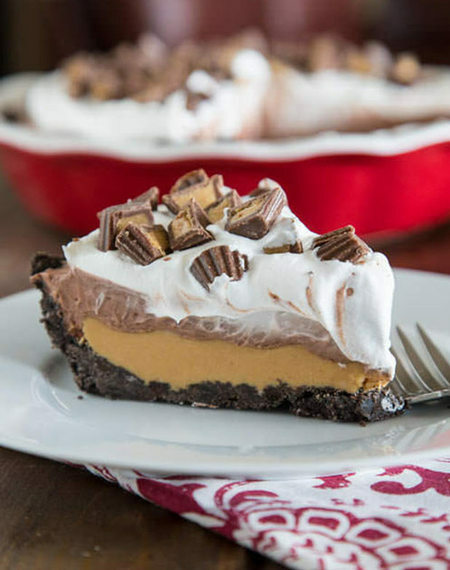 Peanut Butter Cup Pie. Get the recipe. 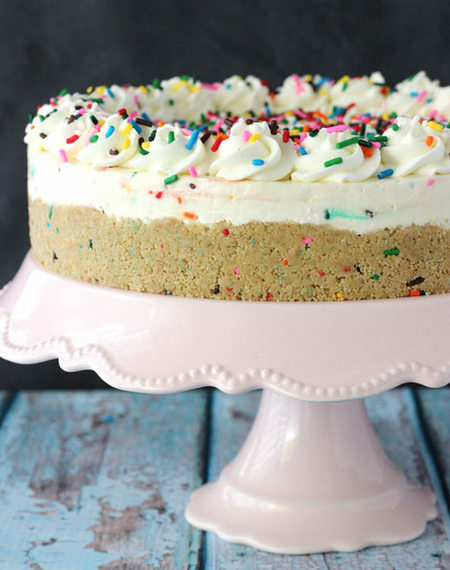 No-Bake Funfetti Cheesecake. Get the recipe. 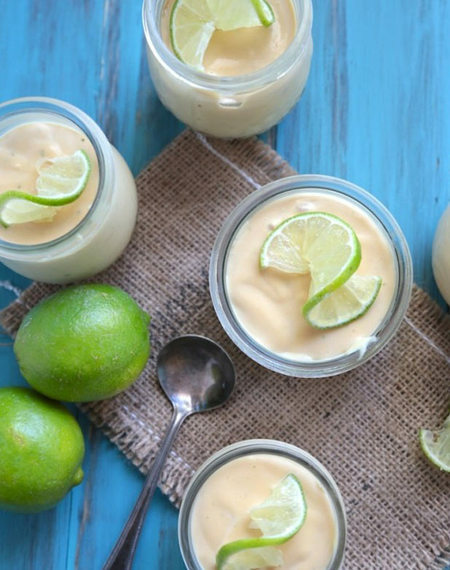 Mini Key Lime Pies. Get the recipe. No-Bake Cherry Cheesecake. Get the recipe. 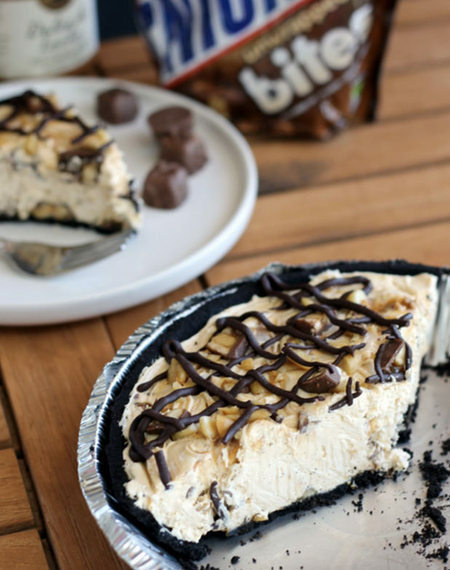 Snickers Pie. Get the recipe. 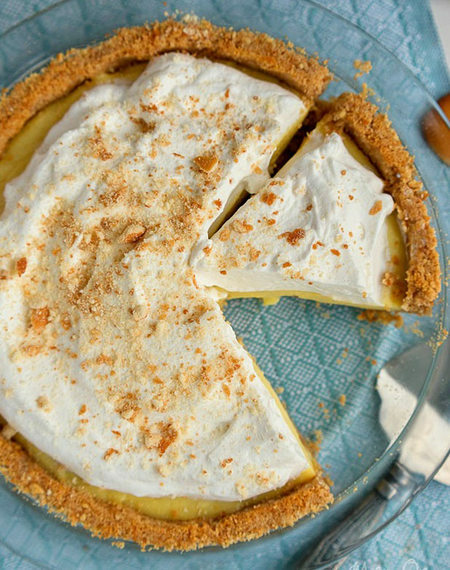 Banana Cream Pie with Nilla Wafer Crust. Get the recipe. 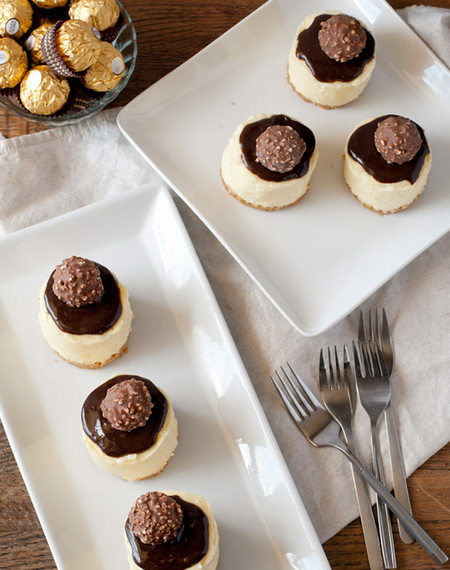 Ferrero Rocher Mini Cheesecakes. Get the recipe. 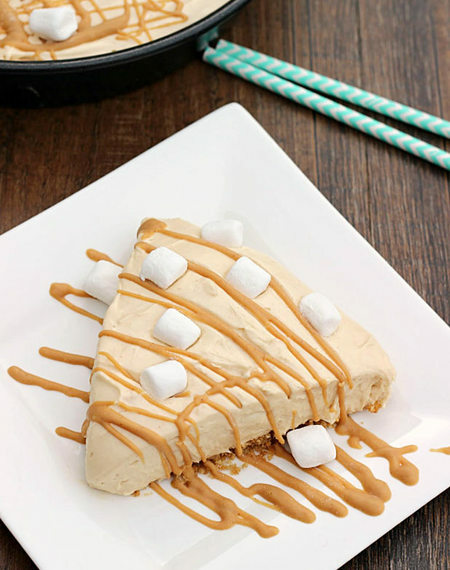 Peanut Butter Pie. Get the recipe. 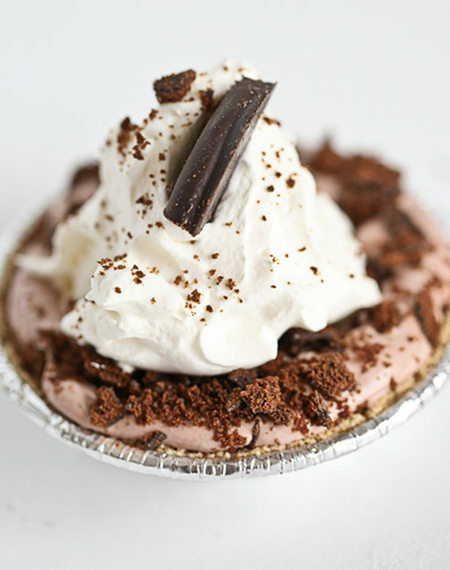 Mini thin Mint Pie. Get the recipe. 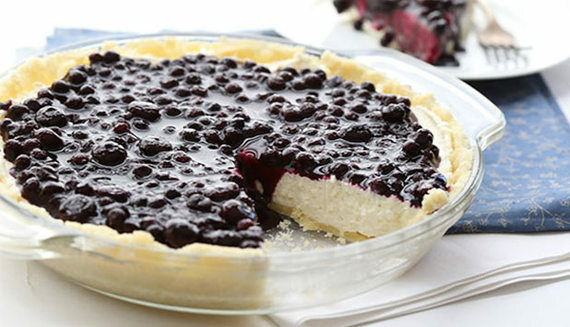 Blueberry Cheesecake Pie. Get the recipe. 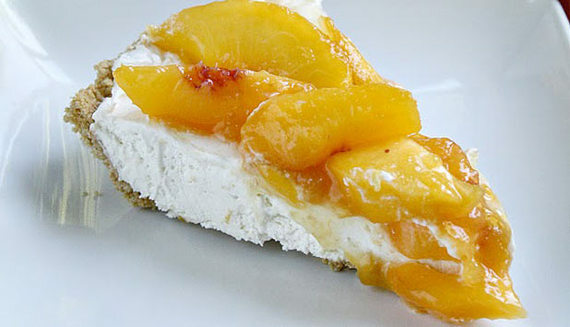 Peaches and Cream Pie. Get the recipe. Chocolate Cookie Dough Cheesecake. Get the recipe. 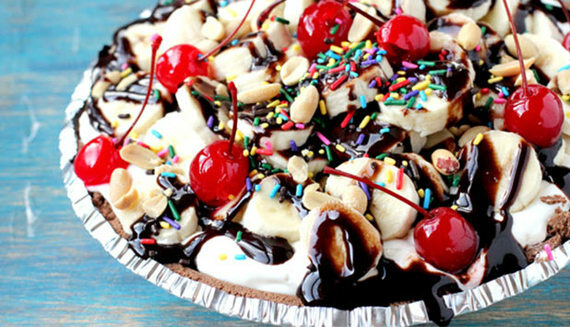 Banana Split Pie. Get the recipe. 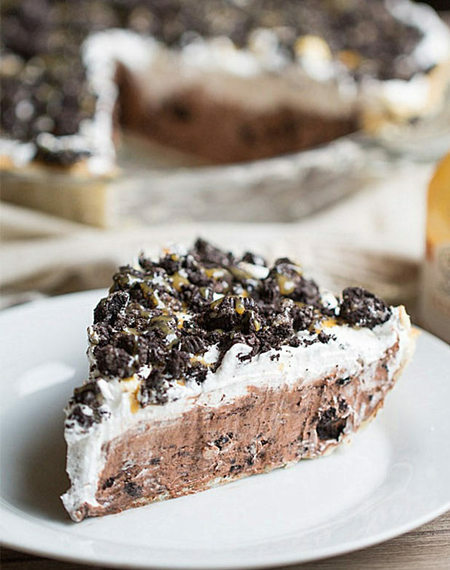 Cookies N' Cream Pudding Pie. Get the recipe. 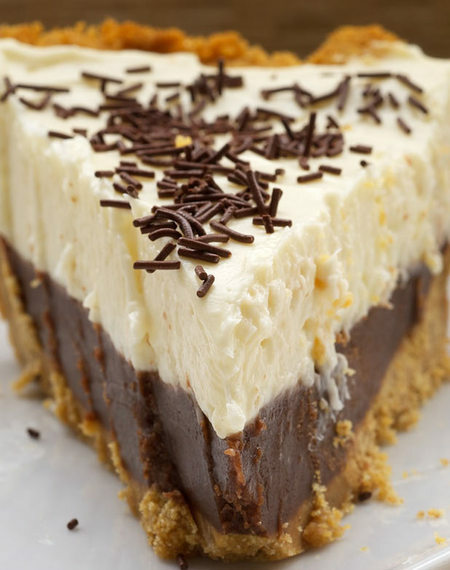 Three-Layer Chocolate Pie. Get the recipe. 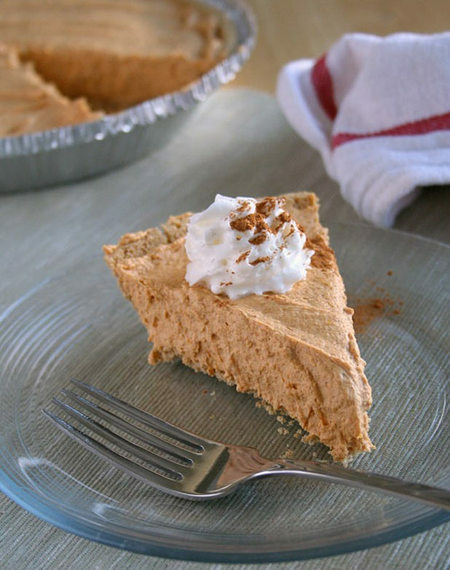 Pumpkin Chiffon Pie. Get the recipe. 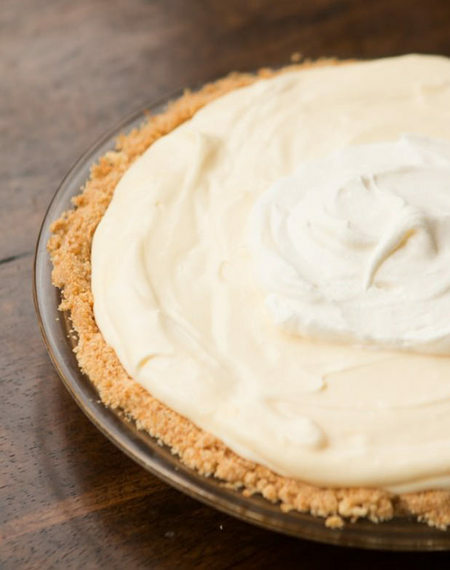 Banana Pudding Pie. Get the recipe. 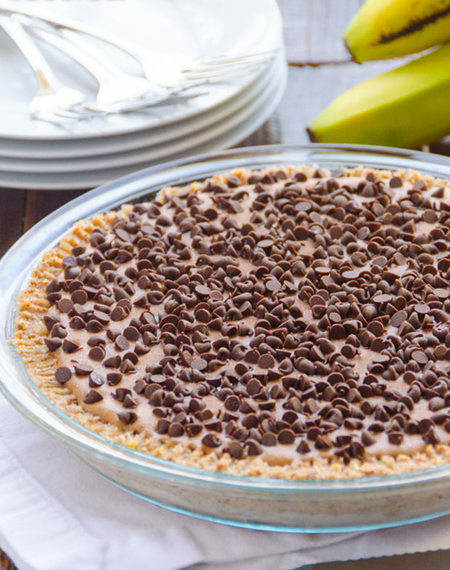 Mocha Mud Pie. Get the recipe. White Chocolate Cheesecake. Get the recipe. 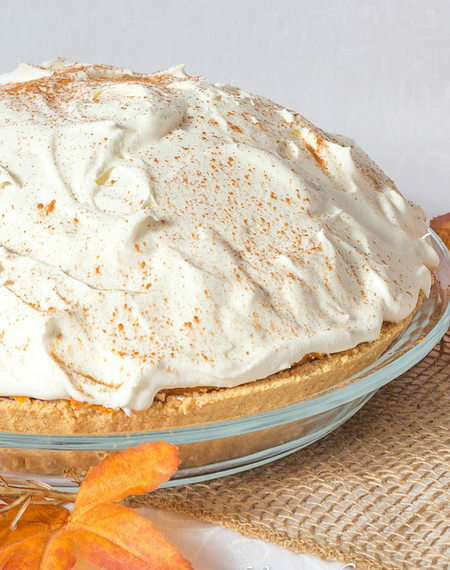 Triple Layer Pumpkin Pie. Get the recipe. 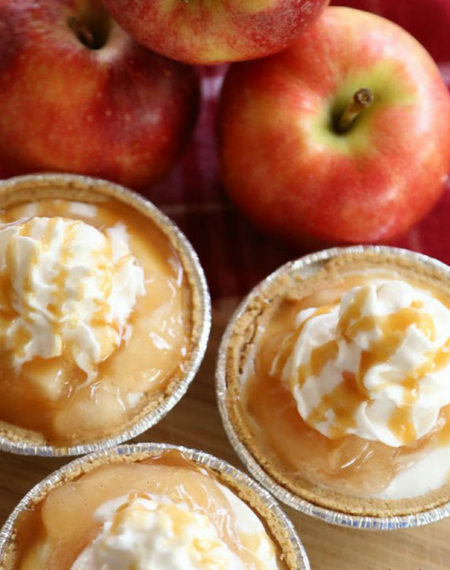 Mini Caramel Apple Cheesecakes. Get the recipe. 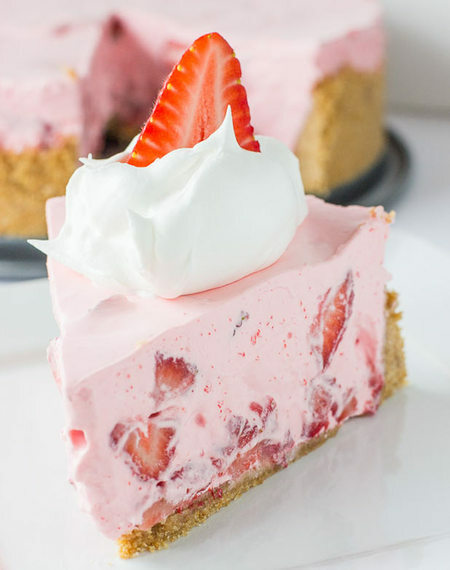 Strawberries and Cream Pie. Get the recipe. 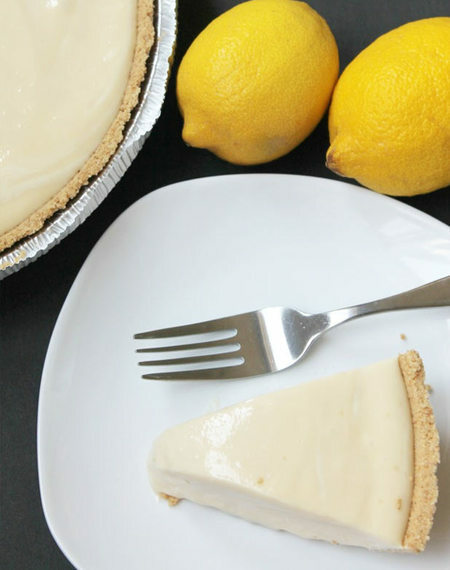 Lemon Cheesecake with Graham Cracker Crust. Get the recipe. 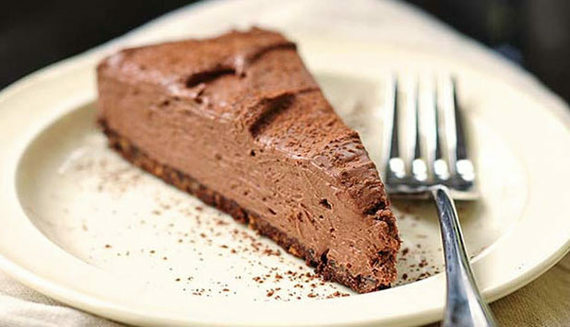 Chocolate Cheesecake. Get the recipe. 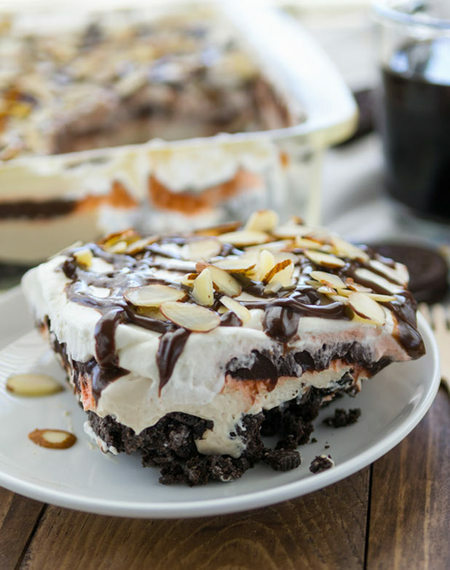 Fluffernutter Pie. Get the recipe.